Rory McIlroy and Tiger Woods put on a great show at the Honda Classic at PGA National on Sunday. McIlroy won it by two strokes yesterday, and though he and Woods did not go head-to-head, McIlroy won it in impressive fashion. First of all, he played behind Tiger. While doing so Sunday, McIlroy heard the roar of the crowd praising Tiger. And yet he kept his poise. McIlroy didn’t budge, didn’t sweat, and most importantly, didn’t choke. Again, let me stress this: McIlroy withstood a challenge from Woods who shot a 62 in the final round. Shooting a 62 on the final day would win most tournaments, especially if Tiger shot it. Yet there was McIlroy, staring Woods down while holding on for the win. 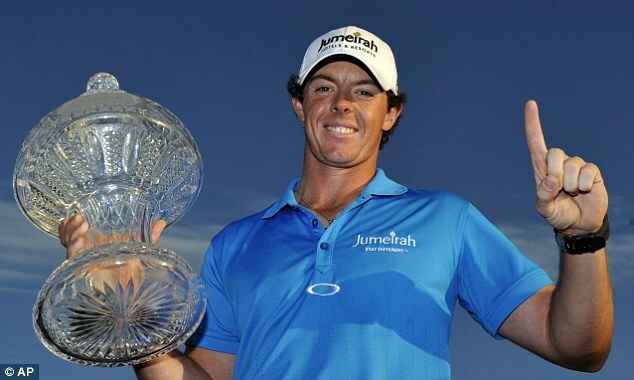 As a result, McIlroy is the new #1-ranked golfer in the world. This is good – check that, GREAT – for golf. Golf has been longing for this since trying to hype up Woods vs. Phil Mickleson. The head of the PGA and golf fans should be raindancing their asses off in thanks. ‹ Saints and Bounties – Who Gives a BLEEP?